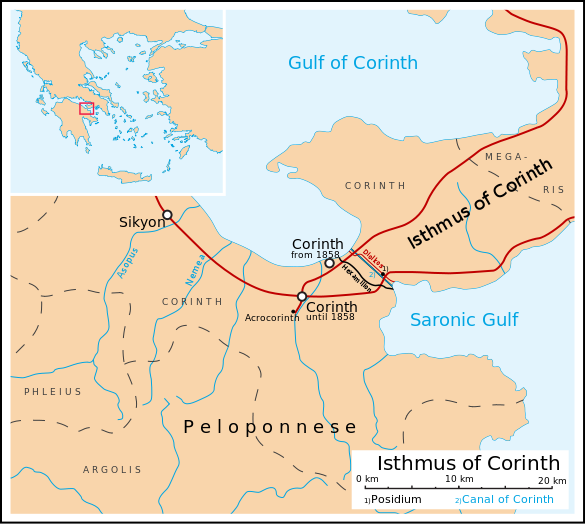 One of the most common ways that people find Corinthian Matters is through Google searches for good maps of the Corinthia. I’ve posted several maps here with the promise that I will add more at a later point. I noticed this Corinthian map in English was recently posted in Wikimedia Commons and is available for sharing and adaptation. This is actually a variant of a German circulating since 2007: see the various versions here.